Turn one of the most daunting times of the year into an HR cakwalk. Let’s talk about benefits enrollment season—otherwise known as “go-time” for HR teams. Barring a personal event like getting married or having a child, employees are permitted to change their benefits elections only once a year. In the benefits industry, this narrow window of time lasting between 2-4 weeks is referred to as open enrollment. From choosing the right plans to informing employees of their options, HR shoulders most of the burden of making open enrollment a success. Thankfully, it doesn’t have to be hard. Read on to learn how you can master one of the most logistically challenging parts of your job and get employees the coverage and peace of mind that they deserve. It’s no secret that attracting and retaining all-star employees has become harder in recent years. With unemployment down (only 4.3 percent as of August 2017) and the jobseeker-to-opening ratio nearly 1:1, talent acquisition has become an ultra-competitive vocation. As additional leverage shifts to both candidates and employees, offering affordable, robust plans has never been more important. Indeed, a 2016 Namely survey found that nearly 55 percent of U.S. workers viewed their core benefits as the most important driver of engagement overall. Selecting the right plans is a critical first step in orchestrating a successful open enrollment. 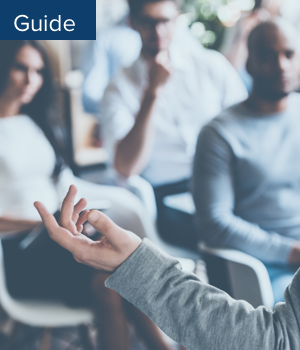 From HMOs to PPOs and everything in between, the abbreviations and verbiage can be overwhelming to even the most seasoned HR pro (which is why this guide is followed by a glossary). Don’t forget the budgetary hit that selecting the wrong plans can impose; in the private sector, the average cost of insuring just one employee can reach as much as $4.00 per hour. But with a little due diligence and outside help, you can be the benefits superhero your company deserves. What kind of benefits do employees expect? While every employee has his or her own unique needs, there are a number of generally agreed-upon “must haves” in the modern workplace. As of this writing, the Affordable Care Act (ACA) requires that employers with 50 or more full-time workers offer health insurance—or face a stiff tax penalty. This so-called “employer mandate” has reinforced health insurance’s status as an expectation, not a perk. Indeed, over 80 percent of all full time workers in the U.S. are offered employer-sponsored coverage. Be sure to note that federal law also stipulates how rich these plans need to be—for example, free preventative care, like an annual check-up, must be covered by whatever plans your company offers. So what’s everyone else doing? Below are some of the plans most often provided by today’s employers, ranging from traditional healthcare to newer offerings like legal insurance. If you want to offer great benefits, the first step is to partner with a great benefits broker. They’ll help you navigate your options, advise you on best practices, and even ensure you’re compliant with the ACA’s stringent requirements. If they come prepackaged with easy-to-use benefits administration software for both you and your employees, that’s a huge plus as well. Are you licensed in my state/s? What kinds of insurance do you handle? In addition to core benefits, do you also work with voluntary or nontraditional plans like pet insurance? Do you serve others in our industry? If so, do they match our profile and size? Are you available for day-to-day employee questions? Are you working alone or do you have a team? Do you handle COBRA, ERISA, and ACA compliance? Will you generate my 1095 and 1094 reports? What kind of support will you offer my team during open enrollment? Does your service come bundled with technology, and if so, how will it integrate with my existing HRIS? In addition to answering all of the above, the best brokers will be able to easily ascertain what plans are best for your company, once provided with an employee census and your budgetary needs. After sending this information to the insurance carriers, they’ll receive detailed proposals within 2-3 months. The broker will subsequently distill this information and present it as a side-by-side comparison for your team. Here’s an important thing to note: plan pricing generally doesn’t vary much from broker to broker, so be skeptical whenever one claims to have the inside track on a great deal. That’s why asking about service and technology is so critical during the evaluation process. Those are the factors that truly set competing brokers apart. If one claims to offer best-in-class software, don’t just take their word for it—ask for a live demo to see just how “user-friendly” their platform really is, especially since your employees will be using it too. While your broker will use an employee census to infer needs, it never hurts to ask directly. Get a pulse from those who your company’s plans are meant to benefit: employees. Make it an annual habit to conduct an employee survey where individuals are asked to rate their understanding of coverage, identify a preferred method of communication, and grade each of their benefits. Be sure to leave room for open-ended employee suggestions as well. 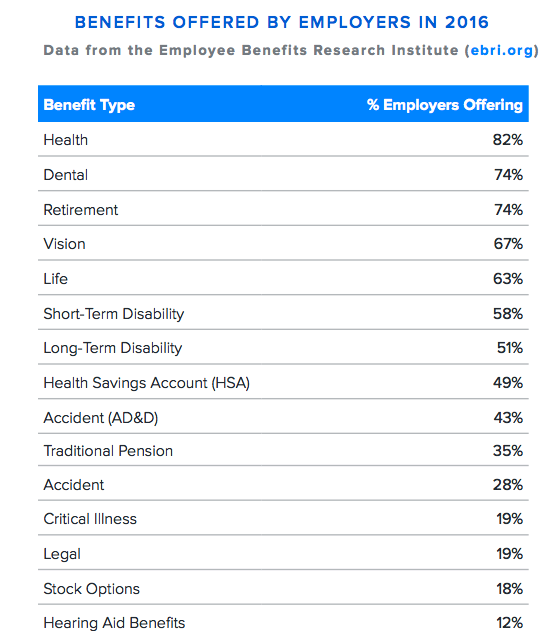 Since employee benefits are so tightly linked to overall engagement, you might glean more than just insurance insights. Your employee demographics will also inform what benefits you should offer. If your workforce trends older, place a heavy emphasis on retirement offerings. Doing so, regardless of your demographics, may be a safe bet as well—Namely’s survey data suggests that 401(k) offerings are particularly valuable to employees, with only 5 percent of U.S. workers willing to give them up for better healthcare. Conversely, if you have a workforce that trends younger, consider offering educational assistance, as that perk seems to have a significant impact on millennial retention. Your research can go beyond just providing you with a grade of your benefits—it can give you insights into process and timing as well. Namely’s data shows that “baby boomers,” or individuals born between 1946 and 1964, wanted up to a month or more to make their enrollment decisions. Overall, most employees prefer between 2-3 weeks to make their elections. While you might be able to determine some of this from your HRIS’ demographic information already, save yourself some time and ask about employee preference directly in your benefits survey. We’ve mentioned “voluntary” benefits a few times throughout this guide. So what are they, exactly? Though offered through your company, these benefits are paid for primarily by employees through a payroll deduction. These plans can take many forms, including but not limited to life insurance, disability, legal insurance, hospital indemnity, and even pet insurance. Commuter benefits were once also considered a voluntary offering, but a number of jurisdictions (including New York City) have since made it a requirement of most employers. The reasons why your company should offer voluntary benefits go far beyond just legal requirements, however. When trying to convince C-level executives and other stakeholders of the value of offering these plans, stress their impact on budget and retention. Even before the ACA was passed into law, healthcare costs had been steadily rising. Between 1999 and 2011, average annual premiums per employee nearly tripled from just $5,700 to $15,000. Though employers shoulder most of this cost, much of it is inevitably passed onto employees. As those premiums rise, it becomes harder to convince individuals to stay—unless you can provide them with alternatives to fill the gap. While offering perks like catered lunches and happy hours may help reduce turnover slightly, studies show that they don’t hold a candle to voluntary benefits’ potential impact. Bottom line? As traditional healthcare costs surge upward, voluntary plans provide HR teams with a virtually zero cost way to spice up their company’s overall offerings. There are countless options, covering a full gamut of life situations, available to employers today. Consult with your benefits broker or ask one of our experts to discover what voluntary plans might fit your workplace. You've got great plans—now it's time to get the word out. After being presented with over a dozen options from your broker, you’ve settled on the ultimate benefits package. You’ve got a wide array of plans, tailored to your company’s needs, all of which is complemented with easy-to-use enrollment software. The hard part is over and done with, right? Wrong, unfortunately. Building a communication strategy is hands-down the most critical component to executing a successful open enrollment. Thankfully, there are a number of avenues and tools that HR professionals can leverage when communicating to employees. Why all the focus on communication? Employees don’t like talking or hearing about benefits. A 2016 Aflac survey yielded a number of surprising insights, including that 48 percent of employees would rather walk on hot coals than discuss their enrollment options. The same survey found that 72 percent of employees found reading about their plan options to be a disorienting, stressful, and altogether unpleasant experience. For those rare individuals who are actually willing to talk about benefits, a 2017 Namely survey shows that only 1 in 5 would trust HR with their questions. After you’ve spent so much time shopping for plans, that sobering stat should serve as a gut check. Don’t wing it. Building a deliberate, thoughtful strategy is the first step in ensuring a successful enrollment season. Get started at least 3-6 months beforehand, and begin by considering what might have gone well (or not so well) the last time around. What questions did employees ask most often? Did anyone express surprise about what their plans did or did not cover? Better yet, gain even deeper insights by surveying employees on how they felt about last year’s enrollment. There are several avenues you can take to get the word out: emails, benefits brochures, videos, webinars, printed posters, and on-site events are just some of the methods HR professionals turn to. As no single approach is inherently better than the others, opting for more than one can increase your chances of success. For all of these mediums, consider setting separate communication campaigns for each benefit type (e.g., healthcare, dental, commuter benefits) rather than comprehensive blasts that contain everything they need to know. This bite-sized approach, spread across 3-6 weeks, could be easier for employees to digest. Be thoughtful about how you’re communicating with employees. If large swaths of your workforce are blue-collar or don’t have ready access to a computer during working hours, opt for face-to-face or printed communications. If your employees trend millennial and spend most of their working days in front of a computer, consider leveraging non-traditional mediums like video. For companies with a little bit of both, with both manufacturing floors and back offices, for example, take a different approach for each subset of workers. Remember those hot coals? Even with an effective strategy, pushing employees to voluntarily read and learn about their options may prove an uphill battle. To maximize participation, consider incorporating “active” enrollment into your overall strategy. This approach forces employees to actively make their benefits elections for the coming plan year, rather than just ignore open enrollment and have their existing plan automatically renew. Employees will be more or less forced to reference the materials you produce, so make them count. Imagine the scene: you take a seat in the office restroom stall, only to come face-to-face with an open enrollment posting. It sounds silly, but just trying to get employees’ attention is more than half the battle. Creativity comes in many forms. It could mean using attention-grabbing subject lines in your email communications. Titling an email “$425.00”— what an individual could save annually with commuter benefits—might entice readers more than a generic subject line. If you’re making videos, loosen up; quirky, low-budget videos might generate a few laughs and also inform employees. If you have employee phone numbers on file, consider using an SMS alerts vendor to text them en masse—a relatively new communications approach that can come in handy in other instances too, like when the office has to close due to extreme weather. Starting to notice a theme? HR will need to turn to some of the same strategies that businesses use when selling to prospects. Drop the clipart and templated materials—it’s time to call in the professionals. Loop in your company’s marketing team. In addition to ensuring your internal communications are “on-brand,” their designers and copywriters can also help ensure materials are easy to understand and look slick. Want to ensure your communication strategy is a success? While expertly crafted communications can go a long way, face-to-face contact remains your most valuable tool in educating employees. Holding “town hall” style meetings is a great way to kick-off your benefits communication campaign. Begin the session by clearly presenting what the company’s new plans are and how they differ from last year’s offerings. Depending on your company’s size, you’ll want to reserve up to an hour for employee questions. If you don’t feel confident enough to field questions yourself, ask additional members of your team, or—better yet—your benefits broker, to be present. Be sure to schedule repeat sessions at different times of the day. You should also consider recording one of your sessions and sharing it with anyone who was unavailable or out of the office. Sometimes, a little extra pomp and circumstance can go a long way in boosting engagement. Consider organizing an in-house benefits fairs for employees and their families. Don’t be afraid to make it fun with massage chairs, raffles, and a healthy, catered lunch. Your broker may have experience organizing this type of event for clients already. In some cases, they may even be able to secure the attendance of benefits carrier representatives—giving your event even more credibility in the eyes of employees. While these larger events can go a long way in communicating new plans, keep in mind that employee questions are often personal. Regardless of how many larger presentations you schedule, keep in mind that you must also provide employees with a way to privately discuss their questions or health matters. While setting up a “hotline” or special open enrollment inbox can help, be sure to set aside office hours each week to address questions face-to-face. Note that in some cases, your discussions with employees may go beyond just the scope of open enrollment. If an employee reveals a serious illness and subsequently requests an accommodation, for example, you’ll need to be mindful of Americans with Disabilities Act (ADA) compliance. Moving beyond spreadsheets and paper. 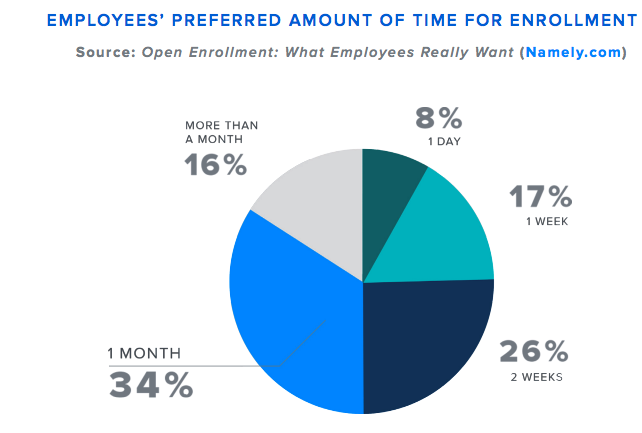 You’ve focused so much time on shopping for plans and communicating offerings— but how are employees actually enrolling in their plans? The technology that you use to handle enrollment and day-to-day administration is almost as critical as the benefits themselves. Make sure that whatever software you use, it’s easy to use for both employees and HR managers alike. The best software guides employee through their options with contextual help, all in a conversational tone that cuts through the jargon that’s typically associated with benefits. Because plans are largely paid for through deductions, note that employee benefits and payroll administration are deeply intertwined. While handling your people operations with disparate systems is never best practice, it’s especially problematic when your payroll and benefits data is stored and handled separately. As an HR professional tasked with handling everything from employee relations to payroll taxes, your job is considered all-in-one—and your technology should be too. In addition to streamlining deductions and plan contributions, syncing your payroll and benefits data can greatly reduce the time you spend manually inputting data. When it comes to something as sensitive as healthcare, a mis-entered number or miscommunication between systems can be especially problematic. If you can’t switch systems just yet, at the very least consult with both your benefits and payroll vendors to confirm that their technologies are compatible. What to do in the "off-season"
Once the open enrollment deadline passes, take a short breather. You survived yet another cycle, congratulations! With your five-minute celebratory lap out of the way, it’s already time to focus on next year’s open enrollment. First things first—schedule time to meet with your broker to run a post-mortem analysis. Plan to take a hard look at employee participation, whether there was a lot of movement from one plan type to another, and voluntary benefits enrollment. Depending on your benefits technology vendor, you may already be able to pull reports including this information. If you can’t, ask your broker to generate them for you. While your broker should ideally shoulder much of this burden, be sure keep an ear to the ground yourself. The benefits industry is rapidly evolving, with new offerings and trends coming to the forefront every year. Stay abreast of changes by subscribing to benefits publications and regularly surveying employees. Additionally, don’t be afraid of consult with other HR professionals in your network about best practices or the latest benefits trends. Attend your local SHRM chapter’s events or one of these popular conferences. As open enrollment veterans, you’ve all served in the trenches before—you’ll find that your HR peers know better than anyone else what works and what doesn’t. All you need to know, from A to Z. Even for the most seasoned open enrollment pro, grasping the complex, jargonriddled world of employee benefits is easier said than done. Below, you’ll find an exhaustive list of industry terms and their meanings, written in plain English. Get a head start on employee questions by sharing the below with employees at your next enrollment presentation! Affordable Care Act (ACA): Landmark health reform legislation passed in 2010. It was designed to increase the affordability of health insurance and lower the uninsured rate in the United States. Colloquially referred to as Obamacare. Allowed Amount: The maximum amount that a carrier will consider paying for a service, including any amount that the patient will be responsible for paying. Balance Billing: When a provider bills you the difference between the provider’s charge and the carrier’s allowed amount. Co-insurance: Your share of the costs of a covered service, calculated as a percentage of the allowable amount. Deductible: The amount you owe for services before your plan begins to pay. Deductibles may not apply for all services. Durable Medical Equipment (DME): Equipment and/or supplies ordered for everyday or extended use. Examples include oxygen equipment, wheelchairs, crutches, and blood testing strips. Emergency Medical Condition: An illness or injury so serious that one must seek care right away to avoid severe harm. Exclusive Provider Organization (EPO): A type of insurance where you can use the doctors and hospitals within a network but cannot go outside the network for care. There are no out-of-network benefits, except in cases considered an emergency. Excluded Services: Healthcare services that your insurance doesn’t cover. Generic Drugs: A prescription drug with the same active ingredients as a brand-name drug. They typically cost less than brand-name drugs. Habilitation Services: Health services that help one keep or improve skills and functioning for daily living. These include physical and occupational therapy, speech therapy, and treatments for a variety of other disabilities. Health Maintenance Organization (HMO): A type of insurance combining a range of coverage in a group basis. A group of doctors and other medical professionals offer care through the HMO for a monthly rate with no deductibles. Only visits to professionals within the HMO network are covered by the policy. Hospice Services: Services to comfort and support individuals in the last stages of a terminal illness. 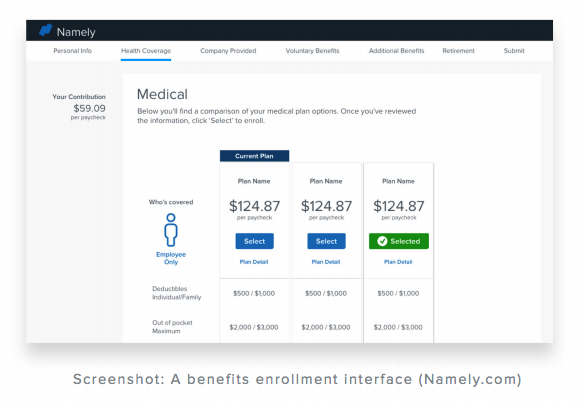 In-Network Coinsurance: The percent you pay for covered healthcare services to providers who contract with your health insurance. In-network co-insurance typically costs less than out-of-network coinsurance. In-Network Co-payment: A set amount that you pay for covered services to providers who contract with your health insurance. In-network co-payments typically cost less than out-of-network co-payments. Medically Necessary: Health services or supplies needed to prevent or treat an injury, illness, or symptoms that meet accepted standards of medicine. Network: The providers, suppliers, and facilities your insurance plan has contracted with to provide services. Non-Preferred Provider: A provider without a contract with your insurance plan. You’ll generally pay more to see a non-preferred provider. Out-of-network Coinsurance: The percent you pay for covered healthcare services to providers who do not contract with your health insurance. Out-of-network co-insurance typically costs more than in-network coinsurance. Out-of-Pocket Limit: The most you’ll pay before your insurance begins to pay 100% of the allowed amount. The limit never includes your premium or services that your plan doesn’t cover. Plan: A benefit your employer or union provides to pay for your healthcare. Preferred Provider Organization (PPO): Plans that allow members to use any healthcare professional without a referral. Staying in-network means smaller copays and more coverage. If you go out-of-network, you’ll have higher out-of-pocket costs, and not all services may be covered. Preauthorization: A decision by your insurer that a service or drug is medically necessary. Your plan may require preauthorization for specific services before you receive them. Premium: The amount that must be paid for your health insurance by you and your employer. Typically paid monthly. Primary Care Physician: A physician (M.D or D.O.) who provides or coordinates a variety of healthcare services. Provider: A physician (M.D. or D.O. ), health care professional or facility that is licensed and certified as required by state law. Reconstructive Surgery: Surgery and treatment needed to correct a part of the body due to birth defects, accidents, or medical conditions. Rehabilitation Services: Services that help a person keep or reclaim skills and functioning for daily living lost due to an illness or injury. Examples include occupational therapy, speech therapy, and select psychiatric services. Skilled Nursing Care: Services for licensed nurses in a nursing home or your own home. Specialist: A physician that focuses on a specific area medicine or group of patient to diagnose, prevent, or treat certain conditions. Summary of Benefits and Coverage (SBC): A straightforward summary that allows you to compare costs and coverage between different health plans. Usual, Customary, and Reasonable (UCR): The amount paid for a service in a geographic area based on what local providers typically charge. Urgent Care: Care for a condition or injury serious enough that one would seek care right away, but not one severe enough to require emergency room care. Waiting Period: The time that must pass before coverage becomes effective for an employee and his or her dependents.